It’s finally October! Here at Know Cancer, it’s a time of year that gives us great pleasure to be able to help bring awareness to the most common type of cancer in women – breast cancer. Public awareness of this particular cancer is very important, given its prevalence among women, and keeping in mind that the earlier the detection the better chance one has of becoming a survivor. So…be sure to find a cancer screening service in your area and get those regular mammograms! There’s a lot going on this month in similar efforts to bring about awareness to breast cancer. Here’s a brief overview of some of the events, organizations and causes working to bring awareness and help find a cure! Of course, breast cancer is important to be aware of all year long. Early detection tests save many thousands of lives each year, yet countless others are missed due to women and health care providers overlooking the importance of such tests. There are many organizations that aim to bring awareness and provide a plethora of resources for anyone in regards to breast cancer and awareness. 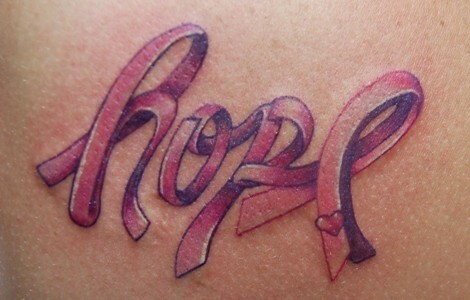 NBCF is committed to spreading knowledge and fostering hope in the fight against breast cancer. By funding free mammograms for women who could otherwise not afford them and supporting research programs in leading facilities across the country, NBCF helps inspire the courage needed to win this monumental battle. Be a part of the solution and discover how to help. NBCC's mission is to eradicate breast cancer, the most common form of cancer among women in the United States, by focusing the administration, U.S. Congress, research institutions and consumer advocates on breast cancer. NBCC encourages all those concerned about this disease to become advocates for action and change. The Coalition informs, trains and directs patients and others in effective advocacy efforts. Nationwide, women and men are increasing the awareness of breast cancer public policy by participating in legislative, scientific and regulatory decisions, promoting positive media coverage and actively working to raise public awareness. The mission of The Breast Cancer Research Foundation® is to achieve prevention and a cure for breast cancer in our lifetime by providing critical funding for innovative clinical and translational research at leading medical centers worldwide, and increasing public awareness about good breast health. Mayo Clinic is a not-for-profit medical practice dedicated to the diagnosis and treatment of virtually every type of complex illness. Their website provides both basic and in-depth information on breast cancer as well as provide the latest news and research. Susan G. Komen for the Cure®, is considered the global leader of the breast cancer movement, having invested nearly $1.5 billion since inception in 1982. They are the world’s largest grassroots network of breast cancer survivors and activists, working together to save lives, empower people, ensure quality care for all and energize science to find the cures. If you’re looking to participate in supporting the fight against breast cancer this month, or heck, ANY month, don’t be shy to get involved! There are many organizations accepting donations, which go not only to furthering research for treatments and a cure for breast cancer, but towards bringing about awareness as well as providing free mammogram services for those in need. So, what are you planning on doing this time around for Breast Cancer Awareness Month? Leave a comment below and let us know what you’re doing for the cause, if you have suggestions on other ways everyone can get involved, or just to share a story about how breast cancer has impacted your life.